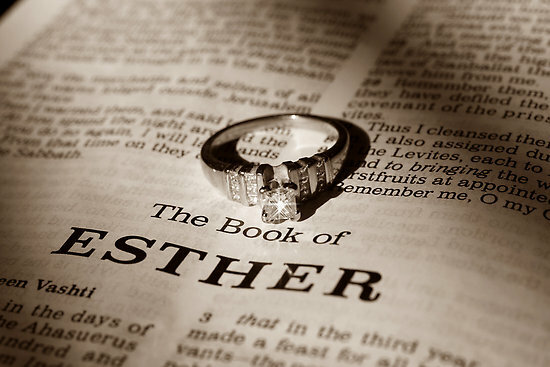 Posted on 30 Oct 2015 30 Oct 2015 Categories The 4th DimensionTags Bible, Esther, God, Gospel, Grace, Jesus, MercyLeave a comment on Where is God in Esther? Is the Bible a Work of Plagiarism? I came across this interesting comic on the web (below). A teacher gave her students the following assignment: What is the “Golden Rule” and its source? The answers she got from her students are quite telling. In fact, many atheists use this example to illustrate why they think the Bible is not the Word of God but a mere fabrication of pre-existing (pagan) traditions. Now, what is fascinating is that all the answers given by the students were correct, and factual. The problem is that some of the people quoted lived centuries before Jesus was born, and yet we often attribute the Golden Rule to Jesus (Matthew 7:12). But Confucius (551–479 BC) and Buddha (480-400 BC) said and taught the same thing and yet they lived hundreds of years before Jesus was born. Similar examples have been cited as arguments against the validity of the Bible stories. Such as Noah’s flood. Many argue that the story was merely a Jewish adaptation of the Neo-Assyrian Gilgamesh flood myth found in the Epic of Gilgamesh. The myth, according to historians, is very similar to the Biblical stories and yet it existed centuries before the supposed period of Noah. Truth is truth, wherever you find it. To argue that only the Bible contains truth is to actually speak against the Bible, because the even the Bible claims that there is truth about God outside itself. Romans 1:19 actually says whatever may be known about God is available to even those who have never read the Bible. Psalms 19 talks about how nature teaches us about various attributes of God. Even Paul often quoted pagan sages in the Bible (1 Cor 10:23). No, the Bible is not a work of plagiarism. But it is a work that seriously needs to be plagiarized by you and me. Posted on 7 Aug 2014 Categories The 4th DimensionTags Apologetics, Bible, culture, Golden Rule, Truth1 Comment on Is the Bible a Work of Plagiarism? When ‘good’ professors fail ‘good’ students and how it relates to Christianity. Imagine its exam day at a university. Anyone who’s ever been a student, as I currently am, knows that in any class, there’s a ‘colorful’ range of students. The serious; the cavalier; the ‘brilliant without much effort” the “must work twice as hard to do half as well as the average person” the “school is really not my thing” people etc. Unfortunately, what she studied for doesn’t come in the test. Instead she finds herself sitting in class, on exam day, staring at a question for which she has absolutely no answer. Panic hits as she begins to envision the big fat ‘F’ that will be her due at the end of the semester. Panic gives way to the self-assurance that worry won’t change things: “You’re here now so think: what’s the best you can do?”. Smart. The student decides to make the best of the situation: she decides to write what she knows, what she studied, not what is needed in the exam paper. She takes a gamble. Maybe the professor, seeing that she at least understands something in the course, will be kinder to her even though she will not answer the questions asked but the questions she had hoped would be asked. She writes her paper, hands it in and hopes for the best. What do you think a professor should do when faced with such a case? Reading the students exam paper, the professor may adjudge that this student is capable, literate, smarter than average and has a way of reasoning distinctly higher than the rest of the class. But, holding that paper to the exam’s marking scheme, the professor cannot reconcile the answer the student has given with the answer that is required. While the professor may want to be lenient and show mercy it would be, ethically speaking, unfair. What’s the point of a marking scheme if your going to throw it out for one student? Besides, it would be unfair to treat this student different from all other students some of whom have prepared really long, and worked really hard for a good grade. Even giving the student a chance to resit the paper would be, in a way, unfair to the rest of the class. One of the ‘issues that people have with God’, which the book tries to deal with, arises from the issue of evil and suffering especially. You’ve probably heard the question: “why do bad things happen to good people?”. Stretching this question, one should of course wonder why Hell (which is perhaps the worst place and most painful suffering there is) happens, even to the best and brightest of humanity. How can God send good people to hell? How will he punish even those who give their lives for the sake of ideals: freedom, justice, equality, human rights? Those who are working hard to make the world a better place whether in obscurity or on a recognized platform. Doesn’t he see that their good? Their not perfect, but they’re trying! Can’t he just let them into heaven? There’s one main problem with these questions. Whose definition of good (bad) are we talking about? According to Christianity, God has his standards which he is faithful to and will use to judge men. Sounds Ridiculous? It should! But isn’t that just like us? Believing that if we think we are good, then God must (and is obligated to also) think we are good and if God thinks we are good, he would be unjust to throw us into Hell. Truthfully, God would be unjust to throw innocent people to Hell. But who, pray tell, are these innocents who live in such danger? God’s standards of good are so high that what He thinks the best human being is, is wicked. Because God‘s standard of God is…. Him. Being good is not about doing good deeds outside of God’s standards, its about being like God: perfectly loving, perfectly humble, perfectly merciful, perfectly holy. God loves justice. He loves mercy and kindness. He loves giving to the poor. He loves freeing people. And loves people who recognize their need for God. If you pursue the justice/mercy apart from God, you fail. Miserably and on all three counts in the verse. Because only God can help you to seek true justice and practice proper kindness. That’s God scheme of things. The true scheme of things. ‘There is no-one good, not even one’. When we truly realize that, it shifts our paradigm and our question invariably changes from why God sends good people to hell, to a cry of desperation: “is there any way a good and just God might allow bad people into heaven?” and finding the answer to this question, becomes the matter of life and death it actually is. Posted on 17 Dec 2013 Categories The 4th DimensionTags Apologetics, Bible, Gospel, SIn, Suffering3 Comments on When ‘good’ professors fail ‘good’ students and how it relates to Christianity. “You may find his approach unorthodox, but trust me, it is quite effective.” Continue reading Thus Says the LORD! Posted on 23 Jan 2013 Categories The 4th DimensionTags Authority, Bible, Expository, Gospel, Personalities, Preachers, Preaching, TopicalLeave a comment on Thus Says the LORD! The Truth! Do You Know Him? He stumbles into my courtyard. His hands tightly bound at the wrists in leather straps. His hair is an entangled mess of blood and sweat, yet there seems to be no scratch or cut on his face. I wonder wonder whose blood that is, or where it came from. His knees are buckling with exhaustion. His eyelids are heavy…, yet somehow, he manages to keep his footing. He stands before me. The voices behind him scream for his blood. “Crucify him!” They want him dead. Dead on a cross. Common sense and my political advisers tell me I should just let the crowd have its way; that they must be justified in their unanimous verdict. But the eyes of the accused man catch mine… and I begin to study this captive. His looks are haggard, those of a drifter, a wanderer. His frame outlines the features of an outcast. His sandals spell the poverty of a pauper. Everything about his form and appearance screams suspicion and guilt, everything… but his eyes! Continue reading The Truth! Do You Know Him? Posted on 30 Oct 2012 Categories The 4th DimensionTags Bible, Gospel, Heaven, Jesus, Salvation, TruthLeave a comment on The Truth! Do You Know Him?